Orlene is survived by her daughters, Dianne Geldner of St. Peter, Cheryl (Roger) Owens of Minneapolis, Cyndi (Michael) Hillesheim of New Ulm, Colleen (Tim) Sernett of Prior Lake; son, Jeff (Bernice) Kral of Sleepy Eye; seventeen grandchildren; twenty great grandchildren; sisters, Delores (Sylvester) Spaeth, Gladys Reinarts all of Sleepy Eye; brother, Vernie (Donna) Haala of Sleepy Eye; nieces, and nephews. She was preceded in death by her parents; husband, Harold on April 7, 1993; brothers, Elmer (Mabel) Haala, Walter (Mildred) Haala, Wilbert (Angie) Haala; and brother-in-law, Lester Reinarts. Orlene Haala was born on May 22, 1923 in Albin Township, Brown County to Henry and Teresa (Suess) Haala. On May 26, 1942 she was united in marriage to Harold Kral at St. Mary’s Catholic Church in Sleepy Eye. 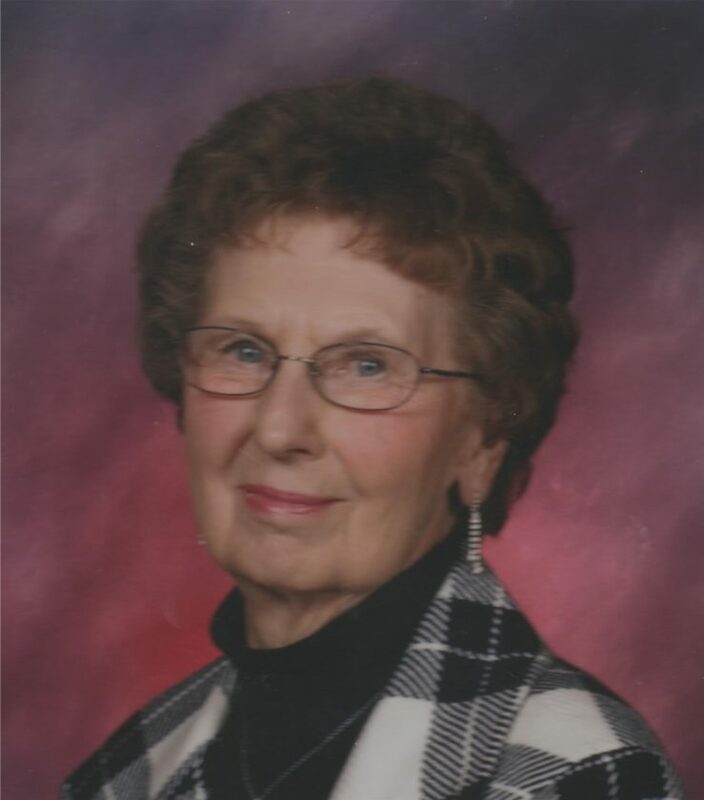 Orlene loved farm life, living on her farm until 2015. She enjoyed helping her son with field work and milking cows until she was 85 years old. She had no problem going from the barn to getting all glamed up on the weekend to go dance her heart out. She enjoyed playing cards and appreciated the ladies and family that came to play with her. She also enjoyed going fishing with her siblings and her son. She cherished all the time spent with her family, and they meant the world to her. Her strong-will, big heart, and wit will be greatly missed. Forever in our hearts. In lieu of flowers memorial to NUACS, Cathedral Church, American Cancer Society, or donors choice.